The telecom regulator's decision to cut international termination charges (ITC) to 30 paise from 53 paise will hit the incumbent operators (Airtel, Idea and Vodafone) the most. At present, the annual revenue of the industry from ITC is approximately Rs 4,500 crore. It may also, as incumbents say, impact government revenue, earned through license fee. Annually it comes about Rs 450 crore. The loss to the Indian TSPs on account of the reduced ITC received by them from foreign carriers for incoming international calls, is expected to be approximately Rs 2,000 crores annually, and this will lead to a loss in revenue to the exchequer, from both licence fee and GST, said Cellular Operators Association of India (COAI), the industry body dominated by the incumbent operators. As in the case of feud on domestic interconnection charges between Reliance Jio (also a COAI member) and incumbents, Jio batted against an increase in ITC, saying a reduction would incentivise increase of traffic to OTT services and illegal VOIP (voice over internet protocol) services, having security implications. According to brokerage firms, annual revenue of Airtel and Idea and Vodafone combined will be hit by Rs 500 crore and Rs 650 crore, respectively. The current ITC was fixed to 53 paise from 40 paise in 2015. The incumbents had appealed the telecom regulatory authority of India (TRAI) to revise the ITC to Re 1 and later to Rs 2.5 to Rs 3 per minute in a phase wise manner on the following grounds: 1) Low ITC will hamper telcos efforts to provide affordable international outgoing services to subscribers and 2) Increased ITC will benefit the country as it will lead to greater inflow of forex to the telcos. It will in turn help them in creating telecom infrastructure in rural areas and serve subscribers in a better way. Yet, the regulator chose to cut down the ITC by 43 percent. Here is how TRAI justified its ruling. 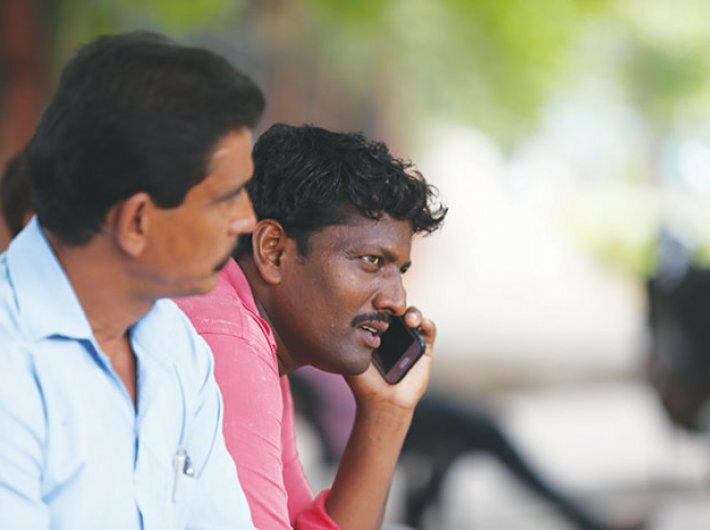 According to the TRAI, the incoming call (including international incoming call) is a monopoly of the called party’s access service provider (i.e. the access service provider whose customer receives the incoming call). “In case ITC is left under forbearance, the called party’s access service provider would always try to obtain as high termination charge as possible from the ILDOs, which may lead to a situation of non-settlement, and therefore, non-completion of the call,” the TRAI said in its regulation. The regulator, thus, decided to not leave ITC under forbearance and to continue with the practice of prescribing ITC. Although the global average of international settlement charges, ISC (charges exchanged between foreign-service providers and Indian ILDOs) is around Rs 2.57 per minute vis-a-vis to ITC in India at 53 paise, it may not be a good thing in future as the incoming voice traffic to India has declined in last one year. In 2016, it was 92,404 million minutes, and in 2017 it reduced to 87,424 million minutes. This combined with fierce competition posed to carrier rout (the official way in which calls gets transferred from one access service provider to foreign careers of one country to their counterparts in another country) from the OTT (WhatsApp, Skype, etc.) and grey rout (illegal routing of VOIP [internet] calls on mobile networks) called for reduction of ITC.